"In the future, whenever we send our cricket team, we’ll do that after examining and reviewing the security measures there," she said, according to UNB report. 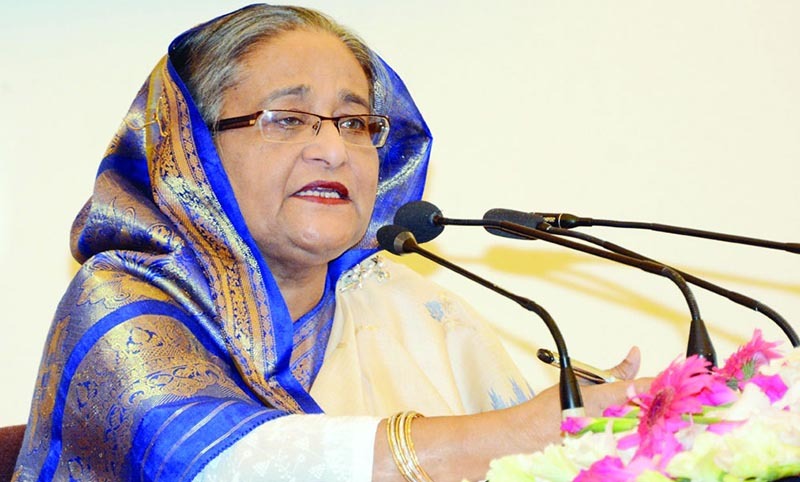 The prime minister said this while inaugurating the four-lane second Kanchpur Bridge on the Shitalakkhya River, four-lane flyover at Bhulta and a railway overpass at Latifpur on Dhaka-Sylhet Highway through video conferencing from her official residence Ganobhaban. Sheikh Hasina also said Bangladesh always ensures high security whenever any team of any cricket-playing nation comes here. "We ensure their appropriate security and we’ll always do that," she added. She came up with the view as some of Bangladesh national cricket team players narrowly escaped terror attacks on mosques at Christchurch that left 49 mosque-goers dead. "Our cricketers were supposed to go to that mosque they went their but on their way to it, a wounded woman did not let them to enter it and this is how they escaped," she said. Condemning the hated, terrorist and militant attacks in New Zealand, Hasina said there is nothing more heinous than killing people while they are performing their prayers. "I hope the world community won’t only condemn this incident, but also take step to eliminate militancy and terrorism forever." The PM said she always believes that militants and terrorists have no religion, country or nation. "They’re just terrorists, and actions have to be taken against them considering them as terrorists." Hasina mentioned that Bangladesh, with its hectic efforts, managed to protect the country from militancy and terrorism although many people rise many questions. "Militancy and terrorism can never bring any good to anyone, except bad things," she said. Talking about religious liberty in Bangladesh, the Prime Minister said this is the right of all people as the country has properly established this religious right. "The people of all religions can perform their respective rituals here freely." Describing New Zealand as a peaceful country, she questioned about the mosque attacks there and said that these were dreadful incidents.